Years ago I met Rep. Lamar Smith at the Texas State Capitol. He studiously avoided my attempts to talk to him about solar power. And is House Committee report on energy markets does not mention solar power even once, and wind only to sneer at it. The report does spend quite a bit of space promoting fracking. Oh, it’s supposed to be about those horrid Russians. It builds its case otherwise around 4% of 9,097 social media posts over two years, which is about one every other day. I personally post more than that. Not a very impressive report. Justin Mikulka, Desmog, February 18, 2018, Safety Officials Order Partial Shutdown of Sabine Pass LNG Export Facility After Discovering 10-Year History of Leaks. This entry was posted in Law, Pipeline, Politics, Solar, Wind and tagged and Technology, Cheniere, Committee on Science, Committee on Science Space and Technology, facebook, fracking, Georgia, instagram, LAKE, Lamar Smith, Law, leak, Liquid Natural Gas, Lithuania, LNG export, Lowndes Area Knowledge Exchange, Lowndes County, PHMSA, pipeline, Pipeline and Hazardous Materials Safety Administration, Poland, Politics, Russians, Sabal Trail, Sabine Pass, social media, Solar, Space, twitter, Valdosta, Wind on March 2, 2018 by John S. Quarterman. Is Porter Ranch the natural gas industry’s Three Mile Island? Thirty-six years ago, Three Mile Island turned public opinion against nuclear power. The worst in history, right now still spewing after three months and Los Angeles County and the state of California have declared emergencies at Porter Ranch, is the “natural” gas industry’s Three Mile Island. Nuclear, too was touted as safe, clean, and infamously “too cheap to meter”. It turned out to be none of those things, and neither is fracked methane. 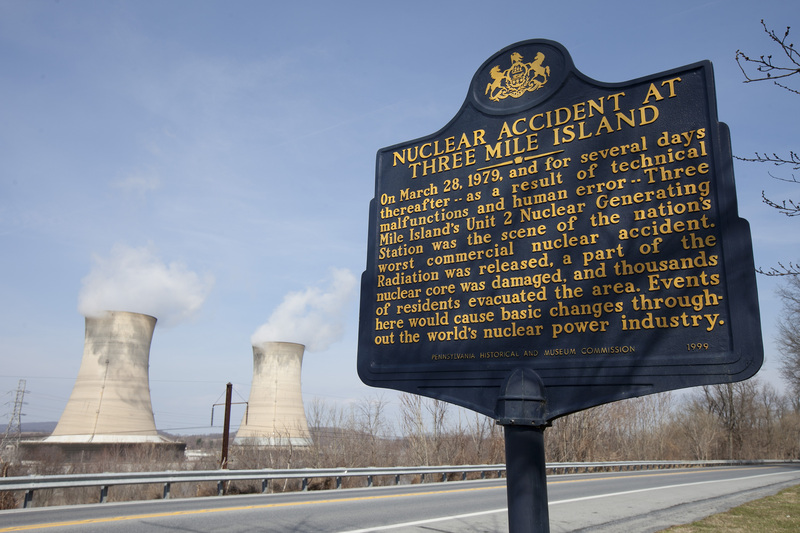 Three Mile Island alone didn’t stop the thousands of nukes President Nixon promised, but it sure helped. The Porter Ranch disaster has already lasted far longer, had worse direct effects, and is in the nation’s second-largest metropolitan area. Plus TMI was the first U.S. civilian nuclear accident. The “natural” gas industry has leaks, corrosion, fires, explosions, and now earthquakes monthly and sometimes daily. Sure, the shadow of nuclear war hung over the nuclear power industry, but the monthly fireballs from methane explosions hangs over the natural gas industry. The 2010 San Bruno, California explosion is back in the news because, says AP 13 January 2015: PROSECUTORS: PG&E RESISTED RECORD-KEEPING CHANGE AFTER SAN BRUNO BLAST. It’s time for a complete moratorium on all new natural gas projects, like the moratorium on all new nuclear projects after Three Mile Island. Instead, let’s get on with what we didn’t have back then: solar and wind power already less expensive than any other sources of power, far cleaner and safer, much faster to deploy, using no water, and requiring no eminent domain. This entry was posted in Florida, History, Natural gas, Nuclear, Safety, Solar, Water, Wind and tagged California, Canada, Chernobyl, Clamshell Alliance, FE, FERC, FGT, Florida, Florida Gas Transmission, Fukushima, Georgia, Hazards, History, Jacksonville Expansion Project, JEP, Jimmy Carter, John F. Kennedy, Kinder Morgan, LAKE, LNG, LNG export, Los Angeles County, Lowndes Area Knowledge Exchange, Lowndes County, MARAD, Mark Z. Jacobson, moon, natural gas, NEB, NRC, Nuclear, PHMSA, pipeline, Porter Ranch, Richard M. Nixon, Sabal Trail Transmission, Safety, San Fernando Valley, Solar, Spectra Energy, Three Mile Island, TMI, Valdosta, Wall Street, Water, Wind on January 17, 2016 by John S. Quarterman. The VDT’s page-long coverage wasn’t just fluff. Spectra’s Andrea Grover admitted they need complete survey data, and Sabal Trail admitted they have no Georgia customers, which means they have no Georgia eminent domain, so every landowner who refuses is indeed putting a crimp into Spectra’s fracked methane pipeline. Plus Grover admitted trees don’t grow back fast, so her promise “It’s restored to what it was before” is pretty hollow. She admitted she knows the Department of Energy’s Office of Fossil Fuels can approve LNG export, but she didn’t admit that it has already done so for three companies right there Spectra’s Sabal Trail pipeline leads on Florida’s Atlantic coast. She still can’t seem to remember Spectra’s long list of safety violations. And she’d already forgotten exactly when her posse of seven rode into Leesburg, GA seeking an eminent domain court order, and rode away without it. This entry was posted in Environment, Ethics, Florida, Law, Natural gas, Pipeline, VDT and tagged Andrea Grover, Department of Energy, eminent domain, Environment, Ethics, Florida, fracking, Georgia, Houston, LAKE, Law, Leesburg, LNG export, Lowndes Area Knowledge Exchange, Lowndes County, methane, natural gas, Office of Fossil Energy, pipeline, Texas, Valdosta, VDT, Withlacoochee River on July 27, 2014 by John S. Quarterman. Projected 56% fracked methane increase over 28 years sets a Wall Street analyst a-twitter, while solar already went up 400% in four years and will continue to do so for the next decade. Which would you rather bet on? More “natural” gas pipelines that would take twice the land to produce as much power as solar panels, or just go straight to installing the solar panels, faster, cheaper, and with local jobs and reduced electric bills? David Alton Clark wrote for seekingalpha 20 June 2014, Kinder Morgan: Is The Party Over? 1) Shale gas provides the largest source of growth in U.S. natural gas supply. A 56% increase is expected in total natural gas production from 2012 to 2040 resulting primarily from increased development of shale gas, tight gas, and offshore natural gas resources. This entry was posted in Economy, Pipeline, Renewable Energy, Solar and tagged Economy, FERC, fracking, Georgia, LAKE, LNG export, Lowndes Area Knowledge Exchange, Lowndes County, methane, pipeline, Renewable Energy, SeekingAlpha, shale gas, Solar, Valdosta on June 20, 2014 by John S. Quarterman.